Solar energy holds the best potential for meeting humanity’s future longterm energy needs while cutting greenhouse gas emissions – but to realize this potential will require increased emphasis on developing lower-cost technologies and more effective deployment policy, says a comprehensive new study on The Future of Solar Energy released today by The MIT Energy Initiative (MITEI). “Our objective has been to assess solar energy’s current and potential competitive position and to identify changes in US government policies that could more efficiently and effectively support its massive deployment over the long-term, which we view as necessary,” said Robert Armstrong, Director, MITEI. The study group is presenting its findings to lawmakers and senior administration officials this week in Washington, D.C. 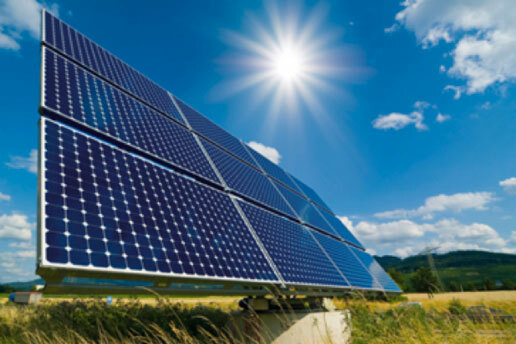 The Future of Solar Energy reflects on the technical, commercial and policy dimensions of solar energy today and makes recommendations to policymakers regarding more effective federal and state support for research and development, technology demonstration, and solar deployment. Among its major themes is the need to prepare our electricity systems, both technically and from a regulatory standpoint, for very large-scale deployment of solar generation – which tends to vary unpredictably throughout the day. To this end, the study emphasizes the need for federal research and development support to advance low-cost, large-scale electricity storage technologies. The study concludes by pointing to the urgent need for an ambitious and innovative approach to technology development, with federal research and development investment focused on new technologies and systems with the potential to deliver transformative system cost reductions. The MIT “Future of…” studies are a series of multidisciplinary reports that examine the role various energy sources could play in meeting future energy demand under carbon dioxide emissions constraints. These comprehensive reports are written by multidisciplinary teams of MIT researchers. The research is informed by a distinguished external advisory committee. For more information or a downloadable copy of The Future of Solar Energy study, visit mitei.mit.edu/futureofsolar. The Massachusetts Institute of Technology (MIT) spans five schools — architecture and planning; engineering; humanities, arts, and social sciences; management; and science — and more than 30 departments and programs. The Massachusetts Institute of Technology Energy Initiative (MITEI) serves as MIT’s energy hub, pairing world-class research teams from across the Institute with government and industry to respond to global energy challenges through research, education, and outreach. Formed in 2006, MITEI programs address all areas of energy supply and demand, security, and environmental impact.